So, here are my five things (and a couple bonuses) and most all of them were from this week! Back to school! We went back to school on Wednesday. We always get a family selfie and then individual pictures of the boys who are going to school. Henry was alllll about going to school. Wesley, not so much. 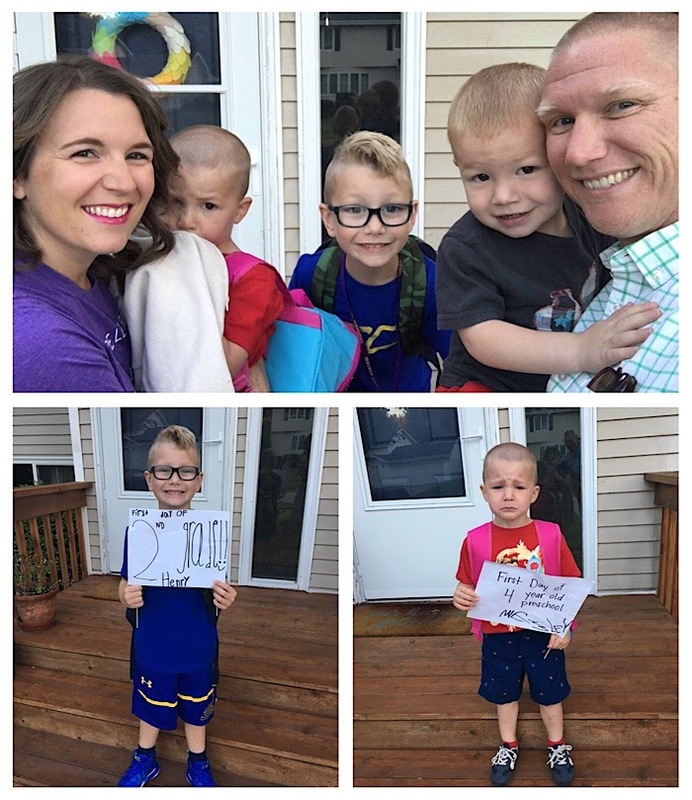 This may go down as one of the most hilarious back to school pictures every. He really did have a great day, but he just wasn't digging the change in routine and that it was a little chilly that morning. I moved classrooms this year so I got to redecorate a little. I made the Very Hungry Caterpillar canvases a few years back and they've been in my classroom since then. The You Are My Sunshine canvas was an old DIY from Wesley's nursery. I bought the light box this summer. I think they go together well, don't you? Classrooms don't just have to be covered in posters! Another thing that brings me joy is my night time routine with Calvin. We've kind of gotten into the habit that Russ puts the big boys down and I put Calvin down for bed. We usually read two books and some nights he has definite opinions about what we read. Have you ever read Mike Mulligan and His Steam Shovel? We got it as a gift a while back and it's one of Calvin's faves! This was from last week, but you gotta love a husband who will run to the store late at night to meet your "needs." 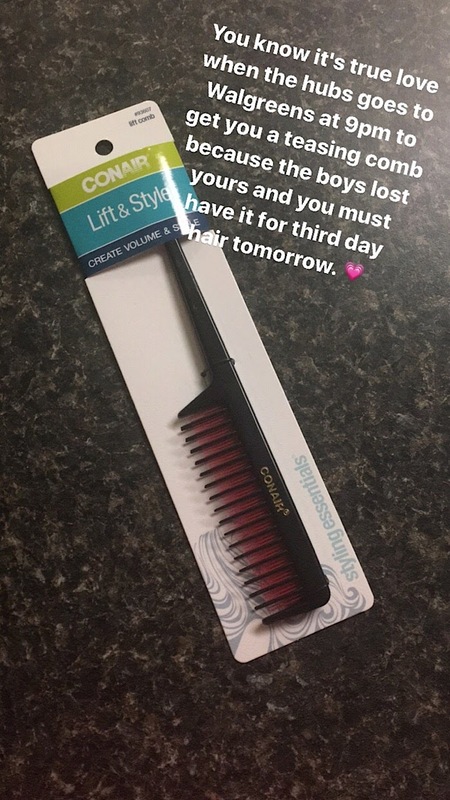 Yep, a teasing comb because I need it it this hair is going to go three days between washes! New drink containers bring me joy! I was gifted this one from Aladdin and it just plain beautiful and perfect for water at my desk at school! You can use code BYBMG40 to get 40% off and free shipping for yourself here on one of the bottles! Thank you for the outpouring of comments on this post! It is so nice to see people who can relate to our struggles and people who just start searching for tees our sweet boy would love! I can't thank you enough. Posts like that aren't always easy to write because they're out of the norm. And a little shout out to my husband. Russ got to meet Tim Cook, the CEO of Apple yesterday! Crazy, right? Apple is building a new facility in our town and they went to visit Russ's school. Talk about a once in a lifetime experience. Needless to say, I'm proud of my hubs! Oh, the gal in the pink is the Governor of Iowa, too! Also, don't forget to enter the giveaway for $100 to TARGET here! 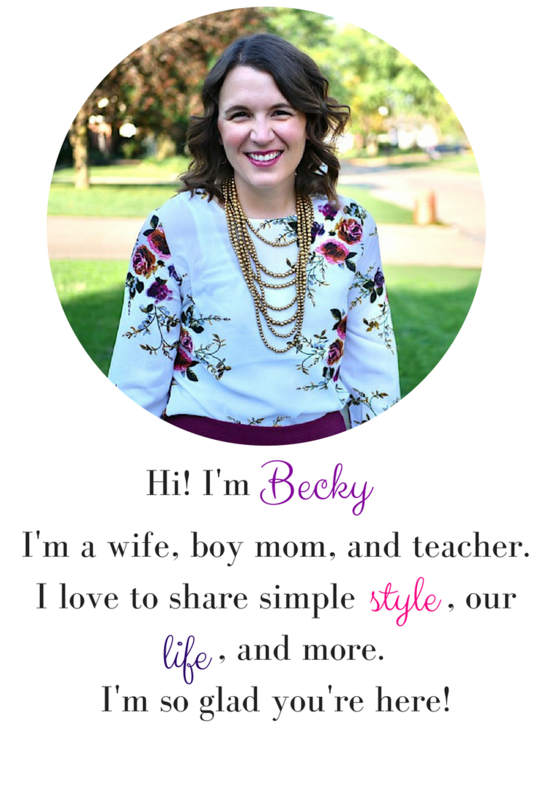 This week's feature blogger is Lindsey from Brushing out way though life! 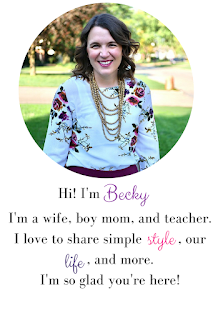 She is a sweet boy mama who shares her life and adorable photos on her blog. Make sure you hop over and say hello!